These are both lovely! 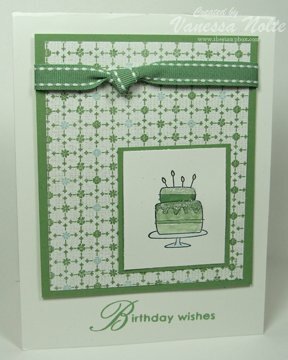 Green is such a happy color and how can you go wrong with House Mouse stamps! They are just too cute! The House Mouse stamp is so cute. Great cards ! These are wonderful! You are just amazing!! 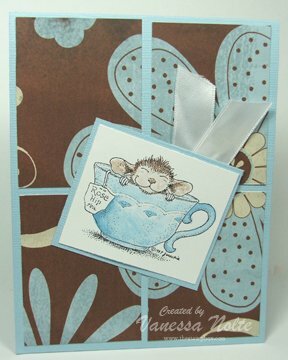 I’m sure jlazarski would love to have you in her house mouse atc swap! I just love your cards! I’m also an addict; if possible I’m making (scrap)cards every evening and free moment! I LOVE your cards. I am an addict too and I feel cheated of “stamping time” whenever I have to do something I don’t want to do. What an inspiration you are! Thank you for sharing your masterpieces!